The next version of macOS is expected to add a feature, codenamed "Sidecar," which lets you extend your Mac's desktop to a second monitor or even iPad —functionally the same way as the third-party Luna Display and other software utilities. The forthcoming macOS 10.15, likely to be revealed at Apple's WWDC conference in June, is expected to add a new feature to help you make the most of all your displays —whether they're monitors directly plugged into your Mac or just iPads that are nearby. This display feature is reportedly codenamed "Sidecar," and its function is the same as that currently available from Luna Display by developers Astro HQ. In both systems, you effectively extend your Mac's desktop to your other screens, such that as you drag a window off one, it appears on the other. 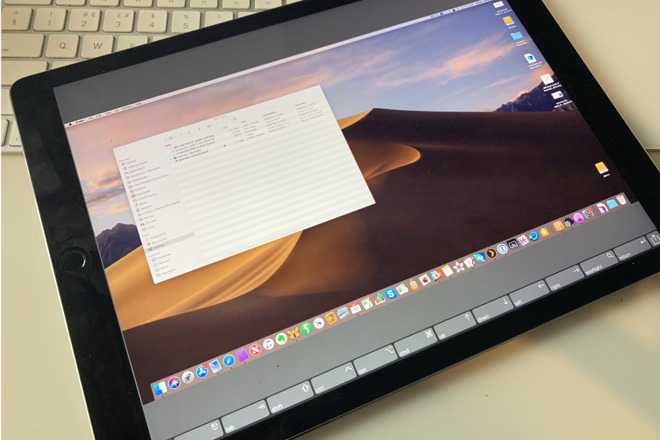 Also in both systems, if your extra display is an iPad, you will see the regular macOS interface on it but you'll also be able to touch the screen and use the Apple Pencil. 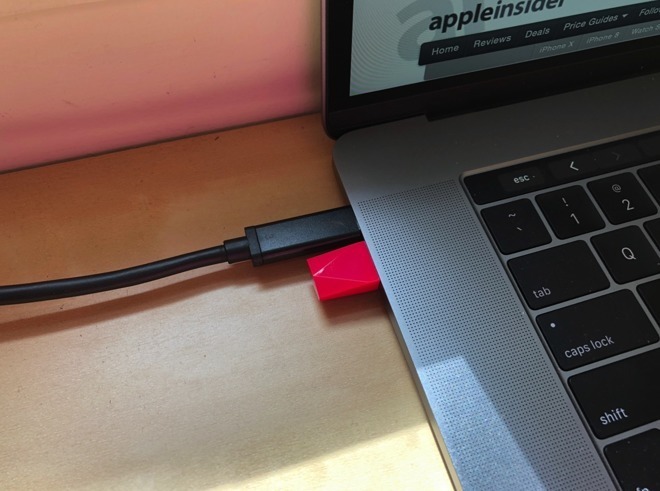 With Luna Display, this connectivity is achieved via a hardware dongle that you connect to your Mac. Reportedly, with Apple's version, users will control the same functionality entirely through software. It will be an extension of the current Full Screen option that's available you when click and hold the green traffic light icon in any Finder or application window. It's believed that from macOS 10.15 onwards, clicking on that green icon will display a menu that includes options to maximize the window, tile it for split screen, or send to the external display. While in regular use, you will control Sidecar through these on-screen controls, there is likely to be a considerable difference in the underlying hardware to make this as seamless as Luna Display. If so, that will mean the feature may not work with all devices. Apple's senior vice president of software engineering, Craig Federighi has previously alluded that the USB-C video output on the iPad Pro will get new functionality. Apple's reported Sidecar project was first spotted by 9to5mac, which cites its sources as "people familiar with the development of macOS 10.15."